Life can be difficult and painful. Our bodies can become broken down with illness, injury and disease. Our hearts can be broken with rejection, disappointment and betrayal. As long as we live on this Earthly plane these things will happen, as this is part of life. We will all experience these things at one time or another. Yet, there is also an antidote to this pain and trauma, something that will always transform, renew and rejuvenate: Love. When another is hurting we should never underestimate the power of a loving response! Love not only can heal the body, but more importantly it heals the soul! 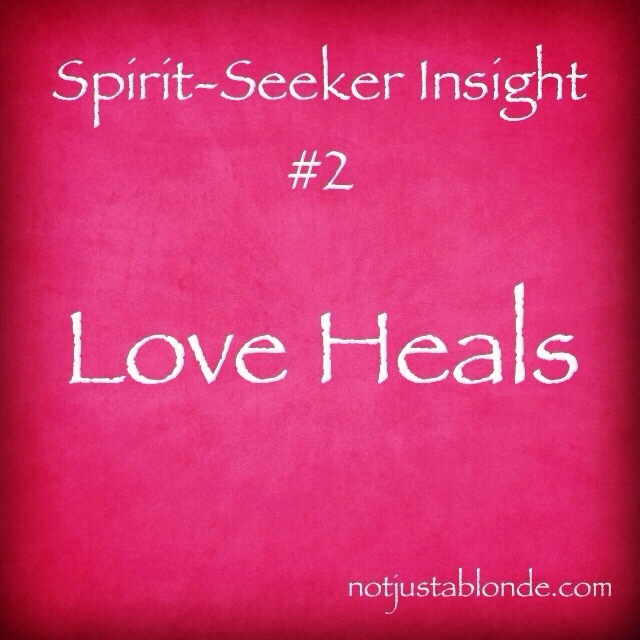 At times, when responding in love to another hurting soul we also are healed from our own unspoken hurts! This miracle of love can bring healing to all involved and is not limited to the one most obviously injured! The healing power of love towards others is more obvious in its ability to uplift, yet we also can use love’s healing power to help ourselves! When we are hurting we can also respond in love by treating ourselves with kindness and compassion! Being patient and honoring ourselves is an act of love! We can also love ourselves by ceasing negative self-talk and sabotaging behaviors. Loving ourselves also means taking care of our basic needs including: getting plenty of sleep, making healthy food choices, moving and exercising our bodies! We can show ourselves love by honoring our bodies, the vessel of our souls, by keeping ourselves clean and groomed. Simple acts I know, yet these are the things we would do for a child whom we cared for and loved… and so they are the very things we should do for ourselves. No matter who is suffering we have been given hope and a way out of our pain. Love positively affects both the giver and receiver! The process of healing begins with love. Love heals. The truth in this is so profound that if applied daily and consistently we could heal the World. Never underestimate the power of love.